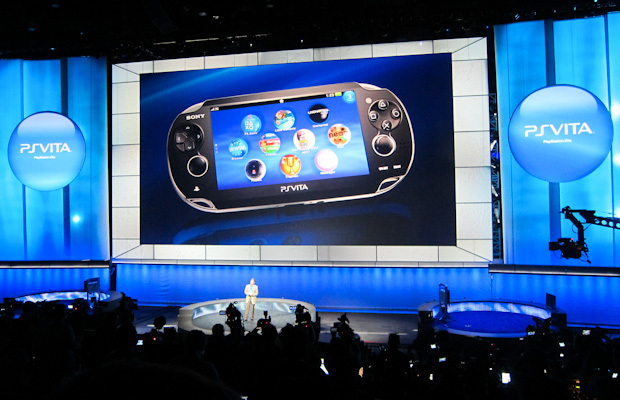 Sony Officially Announces Playstation Vita Handheld (With AT&T Partnership) UPDATE: Pricing! The Next-Generation Portable we’ve been hearing about for a good five months now has finally been owned up to by Sony. It is, as rumors had it, called the Playstation Vita, and the many features we’ve heard about (dual touchscreens, cameras, Near, and so on) are all official. All the specs and stuff were already detailed back in January, but we’re just now seeing the actual branding and some of the launch games. They’re showing off a new Uncharted as I write this, and it looks great. We’ll have a nice hands-on with lots of pictures after the press conference. Update: Pricing and availability! The WiFi model will be $249 with the 3G model costing $299 when the both hit this holiday season. Your move, Nintendo.